Charming and petite this delightful selection of flowers isnï¿½t overwhelming or extravagant; although we at Florist with Flowers think this petite little charmer is just right for any occasion. 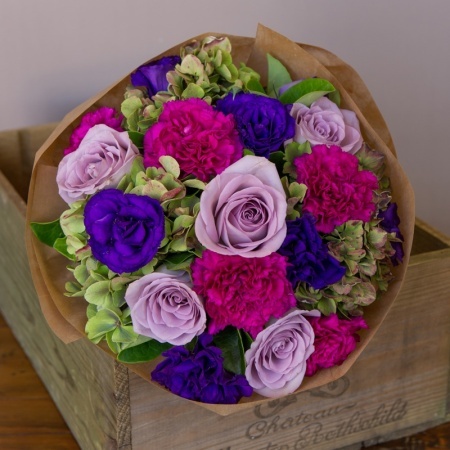 This posy includes purple lisianthus, and mauve roses for the extra touch of sweetness. This posy would look lovely in one of stylish glass vases view our glassware range to add to this purchase. Buy flowers online today.